Circa 1936-1942: Introduced in 1936, Maroon is a daring glaze, deeper and richer than most early vintage colors. 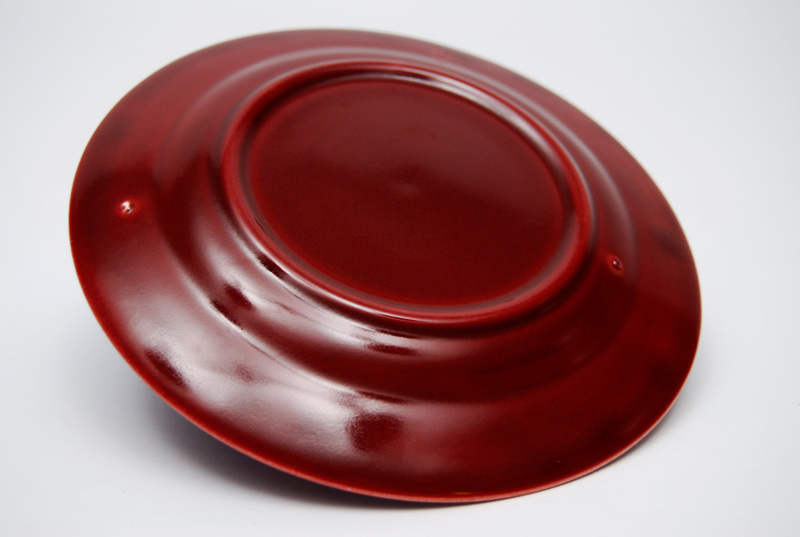 Prone to uneven glaze application, it is always a pleasure to find the original rich Maroon well applied and in excellent condition. 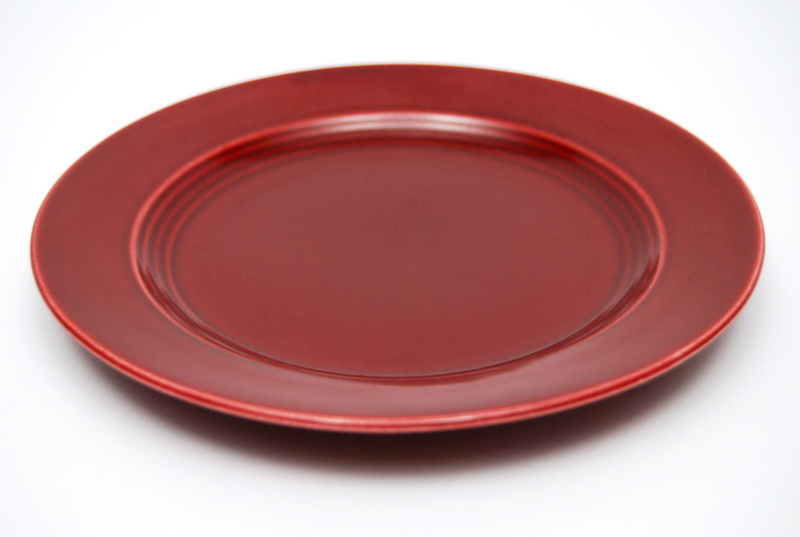 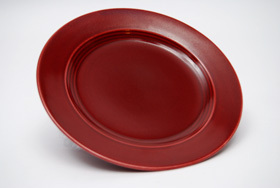 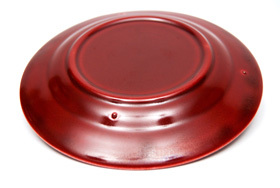 This simple 6" Maroon Harlequin Bread and Butter plate has the most luxurious finish and wonderful color. 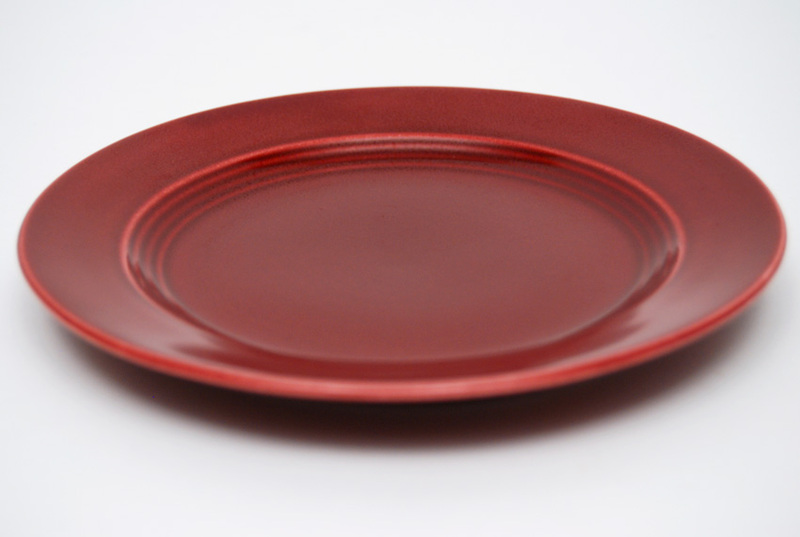 Who knew the simple bread and butter plate could add such delight to the table. 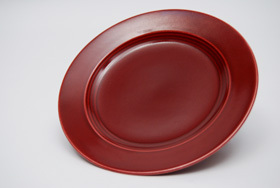 Measures 6 1/4" x 5/8".